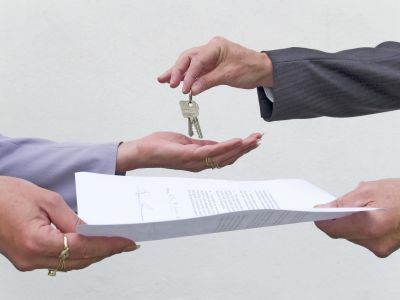 Make sure to read our introduction to this series on property management contracts. While contracts can range in size from 3-10 pages, 5-6 is average. Some are comprehensive, while others are very basic. While we can't tell you what exactly what the agreements you see will look like, there is a good bet they will contain some of the items outlined below. Remember that each management company must be viewed in its entirety when compared against another. While some issues are more important than others, making a true comparison between the property management companies you interview requires taking into account the full scope of their management fees and services. Make sure that the contract contains a due diligence clause (AKA "best effort") where the management company states that they will do their best in the management of the property. Some contracts contain a list of services that the agreement does not include or qualify as "work exceeding normal management duties". If this clause exists you need to find out what items are listed and what the billing rate is for these services. If a billing rate is listed, it likely may be "an hourly fee equal to the current monthly management fee". Otherwise the contract may state the fee shall be agreed upon before the work begins, in which case you want to find out more so there are no surprises down the road in the event you need any of these services. If the list is simply services they don’t provide under any circumstances then make sure you are comfortable foregoing, or outsourcing the items listed. Services typically listed are things like modernization, refinancing, fire restoration, rehabilitation, process serving, advising on proposed new construction and assisting sales agents or appraisers. That said, sometimes the list can be more comprehensive and include things you might have assumed would be included in the management fee so its important to check the contract. This clause addresses the issue of the Agent expending its own funds to pay owner bills. Many contracts clearly indicate that the management company is not required to advance the owner funds. Others go further stating that while not required to advance funds, the firm retains the RIGHT, at its sole discretion, to advance funds to cover necessary expenses. The owner is of course obligated to make immediate repayment, and there may be fees if repayment is late (1.5% of invoice per month is average). The purpose of this clause is pretty straight-forward, you are simply disclosing the facts about the property, your ability to enter into the agreement etc. Read it carefully and make sure you let the company know if there are any potential conflicts or if you are not sure about certain points. Not hire any other company to lease or manage the properties included in the agreement while the contract is in effect. Not take any action that would jeopardize the management company’s ability to offer the property for rent in compliance with fair housing laws. Abide by restrictions on entering the property. This will vary, but the basic idea is that owners can not enter their property whenever they want once it is occupied as this would be in violation of the tenants rights. The restriction may only require informing the tenant before hand, or it may require the owner to notify the agent and work through them to schedule a visit. Transfer security deposits paid by existing tenants to the management company (This may not be applicable depending on the laws in your state). Provide broker with all necessary records and documents the management company will need to do their job. Reimburse the management company for expenditures they make on behalf of the owner in the management of the property. Immediately notify the management company in the event the owner’s representations as described in the contract are no longer valid or if other circumstances have arisen that are legally required to be disclosed to the agent, are necessary for the agent to know to perform their duties, or would affect the habitability of the property. Immediately inform the manager in the event the owner has missed payments (becomes delinquent) for financial obligations related to the property such as property taxes, insurance, HOA fees, and most importantly, the mortgage payment. Not rent the property to anyone without the management company’s prior consent. Not deal or negotiate with current or prospective tenants about anything related to the management or leasing of the property, but instead refer them directly to the broker. Maintain property in a condition necessary for it to comply with all relevant laws. These funds are used to paying day to day operating expenses making sure that services are performed promptly and bills are paid in a timely manner. A reserve of $200-$500 is normal for single family properties. The owner is obligated to maintain this reserve fund. Maintain Insurance - See below. Find out what kind of insurance and what amount of coverage they require you to maintain. The contract will likely require that the policy cover the management company in the same manner as the owner and require notification in the event coverage is changed in the future. In some cases the contract may actually authorize the manager to purchase insurance on your behalf (at your expense) in the event you lack sufficient coverage now or in the future. Keep reading to find out how the terms of your management contract will effect your, or your management companies decision to break off the relationship early.